Needless to say, I’m a fan of Flipboard and have been since it was released in 2010. I’ve enjoyed the media rich updates – streaming music and video – and embraced the idea of being able to curate your own magazine (on the web also) when it was released in June of this year. However, I didn’t create one until about 4 weeks ago. I spend a tremendous amount of time keeping up to date with all things mobile, social and location. (Hence the header.) “Keeping up” is nowhere as daunting as it once was. The thought of even going to a site to see what’s up seems like a distant memory. After you’ve tapped into a robust ecosystem using Twitter, LinkedIn, Quora, Flipboard, etc, you simply turn the curated fire hose on and sit back and try not to drown! As I mentioned before, I created a magazine 4 weeks ago (here) and the last time I checked it had over 1400 subscribers. It has grown more quickly than I anticipated. I started the magazine because I always have clients and students ask me how I keep up and I wanted to share the information. Another motivating factor was all the times I was in a meeting with someone who was really plugged-in and wished I had access to their bookmarks/RSS feeds. Yep. I’m old. Although bookmarks and RSS (aggregation) are a poor substitute for the curated fire hose of today. You’re only as smart/plugged-in as the data you have access to. As usual, I have some thoughts about the Flipboard product. Here we go! Partner with curators – Rober Scoble has over 134,000 subscribers and arguably, his curated content across 8 magazines brings many people back. A part of this partnership should be revenue share. Give curators 10% of the revenue generated. If Instagram had done this when they told everyone they were going to use their images for advertisements, almost no one would have complained. Yes. I understand this can be dangerous because you could turn and intrinsic motivation to an extrinsic one. ROLL THE DICE BABY! Partner with Alltop – Guy Kawasaki has been plugging away with Alltop, the “online magazine rack”, for the past 132 years. They’ve amassed some amazing content creators. (I used to be one of them!) Guy simply finds himself in the wrong medium and launched a “me too” iPad app in early 2012. The interface is okay but the brand won’t be able to catch up. Alltop content should be funneled into Flipboard. Partner with LinkedIn – LinkedIn has embraced the influencer program and you can get posts from people they’ve identified (and you’ve agreed with) as thought leaders/SMEs. If Flipboard allowed those people to share what they were reading, it would add a tremendous amount of value. Imagine a Flipboard app within the LinkedIn app. Share the data. LinkedIn creates more targeted content/advertisements. 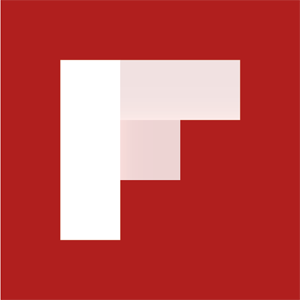 Flipboard gets more exposure. Provide analytics for magazines – I would like to have access to the Google Analytics account that monitors my magazine. (I know they use GA because I see the call made when I open it online and GA does mobile apps as well.) It would help me determine where, who, etc my audience is. I’m not the kind to tweak the type of content to meet an audience need; I’m not a publisher. I’d simply like to know.